For most of its first season, "Mr. Robot" has been running a half-step ahead of current events, with so many public real-world hacks seeming practically like viral marketing for the USA drama. Last week, though, the intersection of art and life became truly unfortunate, when the on-camera murders of a TV reporter and cameraman in Virginia came uncomfortably close to a scene scheduled to air in that night's "Mr. Robot" season finale. Out of both sensitivity for the real victims, and perhaps a sense that no one would be able to watch that scene on that night without thinking only about Virginia, USA delayed the finale a week, finally airing it tonight. Leaving aside yesterday's tragedy, what has the experience been like having real events so quickly parallel stories you told on the show? It got to the point where you had to make a last-minute to the finale scene between Krista and Lenny so he could acknowledge the Ashley Madison hack's effect on his life. Sam Esmail: It's strange. And just to speak to the specific Ashley Madison line. That was originally in the script. If you remember from the pilot, that's one of the things Elliot hacked about him, and one of the things Elliot used to manipulate him. When I wrote that in the season finale, I went, "Well, I'm kind of overdoing this," referencing Ashley Madison. I wound up cutting it before we were shooting it. And then literally, the news happened again. This is too much. It's almost as if the world wanted me to keep the scene as intended. It was actually purely a plot point. It wasn't that Elliot had released that information, but that these other hackers who hacked Ashley Madison did it, and that's why Lenny was at this desperate point of his life. The whole thing about our show continually having things as a mirror reality, I can only say that it's strange. A lot of people bring it up as some talent I have in being on the zeitgeist of what's going on in the current events. I don't think that's true at all. I just think that hacking is becoming a lot more prominent in the news. Hackers are obviously getting a lot of the spotlight now since the Sony hack. For whatever reason, we've been step in toe with that. 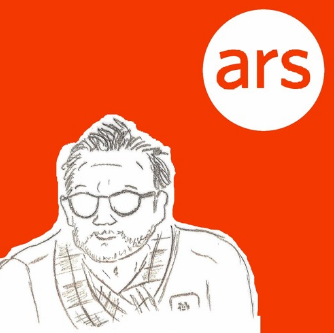 We even got picked up on the day the Sony hack happened. That's just stuff I can't predict. In general, the feeling is incredibly surreal. The finale doesn't tell us what happened to Tyrell, or what he and Elliot were up to in between the end of last week's episode and the start of this one. Why did you decide to do that? Sam Esmail: Ultimately, the journey that we're on is Elliot's journey. What I honestly wanted to do was really start to explore — which is what the series is about, it had been out there that I always intended it as a feature film — so the whole reveal of Mr. Robot as Elliot was my 30-minute mark. I kind of liken it to "The Matrix," where you find out what the Matrix is about 30 minutes into the movie, and the movie explores that concept. It's about that. What I wanted to do was, what happens to a guy when he literally discovers that he has this Dissociative Identity Disorder, where he's losing time, where he can't account for some of his behaviors and memories. And that he's hallucinating things. What does he do? What does that look like? Especially when massive consequences off of his actions when he's lost that time is off in play in the world. That, to me, the missing time and where is Tyrell is setting us up for the next stage and bringing us into the questions and journey. There was a scene a few weeks ago where we find out Tyrell and Mr. Robot have been in cahoots, and then the later scene where he tells Joanna about it implies he knows something of what fsociety is up to. In retrospect, he clearly didn't, so what was he going on about with his wife? Was it just another example of him becoming slowly unhinged? Sam Esmail: There is more that we're going to explore. Again, this concept of Elliot losing time applies retroactively. So he started fsociety and doesn't remember that. There's that meeting in that SUV with Tyrell, he obviously doesn't remember that. Were there other meetings with Tyrell? Those are questions we're going to raise. Among other questions. For me, that scene kind of works in the way that you're describing, as is, if there weren't any other meetings, but I think we're going to open it up for next season. I'm trying to be as spoiler-averse as possible, but that's the angle. There is a hint that we are giving that there may have been other conversations with Tyrell that Elliot's not aware of. Almost from the start, people were wondering whether Mr. Robot was real or a figment of Elliot's imagination, and debating whether you thought you were getting over on us, or understood that we were going to figure this out way ahead of time. When Elliot finally figured it out, he asks how long we had known, and the episode ends with the Pixies song from "Fight Club." How much, and/or how quickly, were you expecting the audience to deduce about Mr. Robot's true nature? Sam Esmail: I did everything in my power to actually telegraph it. I honestly was not trying to keep it from the audience. I wanted the audience to be ahead of Elliot on this. Because in the moment that he realizes he is Mr. Robot, I didn't want that moment to be about the audience being shocked. I wanted the moment to be about Elliot being shocked. I wanted the audience to be with Elliot, to look at Elliot. I wanted the scene to be about that, and not about some twist we're trying to get over on you. I felt great that people were kind of on to us. Honestly, that was the point. We were pretty blatant about it. A lot of people were confused by that. To an extent, it disarmed them a little bit. I read people going, "This can't be the twist. It's too obvious!" But that also worked in our favor. A lot of people took their eye off Darlene, and that twist impacted them in a more traditional surprise reveal way. But whenever I envisioned the moment of Elliot's discovery, I wanted it to be more about Elliot's reaction than anything else. I didn't want the audience to have that reaction. I actually thought that would have been too distracting for watching Elliot's character progression. And while everyone was busy debating the reality or Mr. Robot, I don't think anyone suspected that Darlene was really Elliot's sister. Sam Esmail: Which, by the way, I'm shocked. I was totally sure people were going to figure out the Darlene thing. I thought we were being too obvious there, too, and had her saying those lines like, "Why wouldn't I know where you live?" But you're right. The Robot of it all distracted everyone from it. In this day and age of Reddit and everyone treating every TV show like the Zapruder film, is the only way to sneak a genuine surprise into a TV show to to distract them with a fake surprise like Mr. Robot? Sam Esmail: I would be lying if I told you that was all intentional. But looking back on it, I suppose so. Maybe that's the new way of doing a twist. With the internet, period, forget Reddit, message boards and Twitter, it is hard to get by on people. Everything's so scrutinized. People are literally analyzing details of every frame. I don't know. Maybe that is the way. I've gotta be honest with you, that wasn't some grand plan. I was afraid people would figure that out. 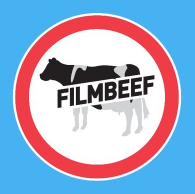 I recently moderated a conversation with Rami and Christian, and they alluded to certain rules about how they could interact physically to maintain the ambiguity of whether Mr. Robot was really there. Were there a lot of rules in that regard? Sam Esmail: Absolutely. Not only was that with Christian and Rami, obviously, but every director, the production designer, we had to be very specific about our props. And the other actors that interacted with Christian and Rami. That went, everything from our guest stars to day players. So we always had to have that conversation. For me, I remember, people were like, "You can't just keep telling everybody." And, again, it wasn't that important to me. I was actually very open about it. The one thing I knew is I didn't want to lie to the audience. I didn't want to shoot anything or have anyone engage with the Mr. Robot character in a way that broke our rule. We were very specific about how people could interact with Mr. Robot, if indeed that was going to happen, because we would then assume Mr. Robot would take over Elliot in that moment. There's that one scene at the end of episode 5 where we do exactly that, but we were very specific about the blocking. 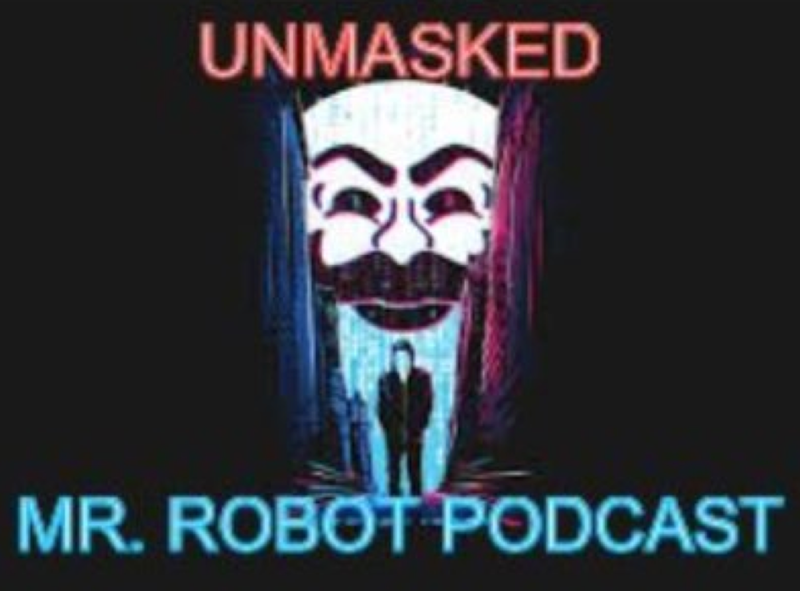 Initially, Elliot hangs back in the shadows, and Robot walks up and engages with Darlene and gets upset, and you'll notice if you watch that scene back, Elliot pulls out his phone because he's getting a call from Shayla, and we cut to Mr. Robot on the other side of the room and he's shaking his head no. And you think that shake of the head is because he's upset about Darlene, and you cut back to Elliot and he's declining the call from Shayla. We were very careful. Obviously, we had to include everybody in on that conversation. So what were some specific rules you had? Sam Esmail: For example, this is a classic one that I think everyone caught onto. In episode 3, the bartender did not acknowledge Christian. At Allsafe, the employees could walk by, but if they glanced over, they had to be looking at Elliot, not Christian. In 5, when Mr. Robot is in the van with Romero and Mobley, they could not look over at Robot even when he's talking. Just small things like that. That could also be looked upon in the opening of 5 where they're at the coffee shop, and Mr. Robot is walking over to hack the employee badge, and Romero and Mobley couldn't actually interact with Elliot. It got tricky. In the finale, we get a couple of glimpses of what Elliot and Mr. Robot's interactions look like to outsiders. Will we be getting more of that? Sam Esmail: A hundred percent. This is what the show is about. And it's not just about those little tricks. The coffee shop scene in the finale is just a taste. I'm trying to use the finale to set up, for better or worse, here is the rhythm of how we're going to approach the second season, and probably seasons after that. Now we're really going to get into what does it mean to have this fragmented personality where you are not completely in control the while time? That to me is the tip of the iceberg. I think we're going to get much deeper than that. Why end the season on Whiterose and Price hanging out at that swank party for the ultra-rich? Sam Esmail: Here's the deal: the season was built around this big battle between fsociety and Elliot and Evil Corp, and the plot to take them down. And that's another thing I read: "Well, they're obviously going to drag this out, they're not going to take them down in the first season." I knew we were going to do that. That scene with Whiterose and Price was to say there's obviously something much larger at play here. Which I think is often the truth in the world. Even when some catastrophe happens, there are other players at play. Even though we fictionalized this company to own 70 percent of consumer debt, there are other players at large. And the reveal of Whiterose, who is supposedly an ally of fsociety is also now maybe an ally of Evilcorp? 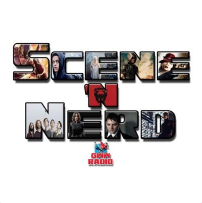 It's a way to keep the stakes visible to the audience that even though fsociety has seemingly won, it looks like there are bigger players above that hack. It was a struggle. That was the ending I always had in mind for the finale, but I always felt it would be weird to not end on Elliot. But I knew that scene couldn't come before anything else. So that was when I came up with the idea of putting it post credits. Did you have any thoughts on the BuzzFeed piece about casting Rami as a character with an white-sounding name? Given the casting of Vaishnavi Sharma as his mom, he's of mixed ethnicity, but was it necessary to give him a generic name, and cast white actors as his father and sister, so we wouldn't instantly piece the family details together? Sam Esmail: I actually did read that piece, and I wanted to respond to it, but Twitter has only so many characters. 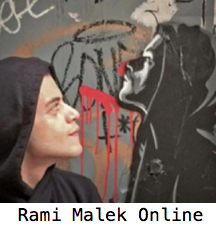 Obviously, I'm of Egyptian descent, and so is Rami. That had nothing to do with why I cast Rami. He's a brilliant actor, and I'm just lucky to have him. What's happening to him in his career now because of the show is what was always going to happen. I couldn't deny his ethnicity. I didn't want to do that either. The original character, I never thought of a race. There is a specific reason I named him Elliot, which I won't get into, because it's a little bit of a spoiler. It had nothing to do with this white-washing theory or whatever this person put out. 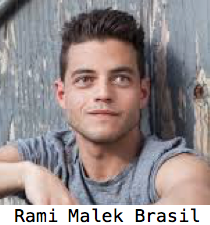 Because I cast Rami, I obviously made that decision to have him mixed race, so I had to cast an appropriate ethnicity for the mom. I don't look at it past that. I remember Obama used to use the term "post-racial." He operated under the assumption that the people who are racist are going to cancel out the people who aren't racist, and it's going to be at a level playing field. I kind of approached it the same way. I'm not out here to talk about any certain racial issues. That's not what the story is about. But I'm also not tying to detract from that. I'm just trying to stay as organic to our story as possible. It's not that I'm avoiding it being about it, or that I want it to be about that. I kind of decided to stay in the middle. Let me put it a different way: I felt it would be almost defeating the whole point if I did change his name because I happened to cast an Egyptian actor. It almost felt like Rami can play anything, and I don't want that to be a hindrance. Or whatever. I don't want that to be an influence on anything else. The idea that he's mixed-race to me is just as in my head, just the same as if he were white, or African American or Asian. It had no bearing on the story. Now that we know what Mr. Robot is, how much are we meant to keep questioning the reality of things? We have other people referring to Evil Corp in scenes that Elliot isn't in. Where do you draw the line so the audience doesn't just question everything? Or should they be? Is that what you want? Sam Esmail: No. It's not what I want. That could get really frustrating. I want us to be tethered. For me, it's about the authentic experience of what Elliot is going through. For example, when we make the reveal to Elliot that Mr. Robot doesn't exist, that hits home to him, and the goal was for that to hit home for the audience, and we accept it and believe it. When Darlene comes out and says she's his sister, that hits home to us, and if we go back and rewatch the episodes, hopefully that all makes sense. Those are things we can grab onto and believe. Yet there are still more questions. Hopefully, we've been very good about showing where those questions still linger. Not just the reality of things, but the loyalties of people, where people might go left instead of right. Those are things that we definitely hope to direct the audience in. And I've noticed that, too. For me, if I were an audience member, and I couldn't buy into anything or hold onto anything, and that would get extremely frustrating, and you wouldn't be able to connect or relate or engage with any of the characters if that were really indeed true. We definitely do not want that. You haven't worked on a TV show before. How was that helpful? And how often did you find yourself being told that your ideas wouldn't work in TV? Sam Esmail: Yeah, that happened all the time. And whenever they did that, I said, "Why not?" And they really didn't have a good answer. Or they'd say, "That's just not done." 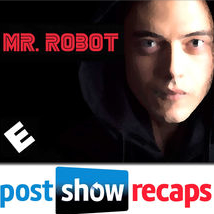 There was a big one about, "You've got to end the season finale with the Robot reveal." First of all, initially, that was, "You're totally missing the point." And secondly, that to me disobeyed the whole idea that we were going to tell one story. That was the come to Jesus moment that I had about doing this television show. I refuse to tell a story that could repeat every season and reset every season. This wasn't going to be a Hack of a Week or a Hack of a Season. And I think that's where the TV old guard mentality crept in. The thinking is you want to go as long as possible. I don't want to go as long as possible. I want to go for the perfect amount of time as possible to tell the journey of Elliot. I have the ending in mind, I know where we're going. I think it's a cool ending and a cool journey the character is going to go on to get to that ending, and I'm in a rush to get to that ending. Believe it or not, however many seasons it is — 40 or 50 (episodes), I can't imagine it being longer than 50 — I'm in a rush. I'm trying to tell the story as fast as possible, because I want every ounce of it is to be as compelling as possible. And that's it. And then I want to end the story with as much respect to the characters as possible. I think lingering these things out or trying to duplicate or repeat things just doesn't do that. I don't know where it came from, but that was never a question in my mind. There was never a doubt that I was gonna not stay on this one track. How many conversations did you have to have with the directors and directors of photography so that everyone was on the same page about the idiosyncratic visual grammar of the show? Sam Esmail: It went past the directors and directors of photography, to literally the camera operators. These guys are so ingrained and used to shooting it a certain way. Essentially, you're watching them be retrained. They will fall into old habits. The cool thing is, once they got to the moment of, "Oh, we're doing this," then it's like opening up a whole new box of framing and composition that you never even thought of before. We hit that stride in episode 6, which had some of the most beautiful framing, especially this one scene with Tyrell and Scott, and he's framed so low in the frame, and I thought, "That's genius, because it's almost like he's neck-deep and drowning. The conference room is all above him." It's an odd conversation to have with people, because I think aesthetically, to a lot of people, it's not that pleasing. However, stylistically and for the show we're doing, and we have such an off-kilter show, and because the show is about how all these characters are swimming under the pressure of this massive world with these massive stakes, it always made sense to me. The couple initial conversations may have been a little uncomfortable, but it always ended up in excitement. What was the process like each week figuring out where the "Mr. 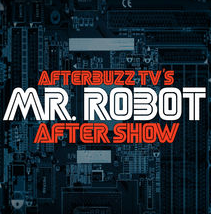 Robot" logo would appear early in an episode? Sam Esmail: I owned that a lot, only because, for me, the opening of a movie is the most exciting part. You're creating the context of the show. There's nothing before it. This is the first time the audience is going to experience what the story is going to be about. In every other scene after that, now they have other reference, because they had that scene or sound cue before. To me, it's incredibly crucial to kick each episode off with something that's symbolic of what the theme of that episode was going to be, and kicked off the story in a captivating way. There were times where we picked a cool image that was just symbolic, but then the story didn't make sense with it. I was so tempted to just go with it anyway, and there were times where it was the other way. We dig into our heels, we figure it out, we would have a lot of discussions, but then in production, picking the location, you couldn't do exactly what was in the script, so we had to improvise. There was probably way too much conversation about it. It was something that just had to fit those two criteria: thematically, what is it saying, and how are we beginning this story? Who is Elliot picturing when he addresses the audience? Who are we? Sam Esmail: I'll be honest with you. I think he's addressing me. That's how I write it, and that's how I want people to feel. He's addressing you. I'm hoping if you ask that to anybody watching the show, they'll say the same thing. I've always felt that the VO is we should have a feeling of such intimate dialogue between you and him, that he's talking directly to you. And sometimes, from what I hear, people talk back. That's the sort of relationship I wanted to have. Might there be opportunities to go inside the heads of other characters, or is the narration meant to be an Elliot-only thing? Sam Esmail: No. This just goes back to the initial concept of the show, and how this was about Elliot's journey. That's the reason we're only hearing his VO and will continue to only hear his VO. It really is all about his emotional journey. I assume you've heard by now about Matt Weiner going up to every critic at the TCA Awards to talk about how much he loves your show. How does that feel? Sam Esmail: I still don't believe it. I'm in shock. I loved "Mad Men." It's going to go down as one of the most important television shows ever made. He's a brilliant writer and showrunner. 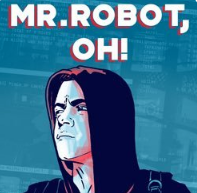 It's crazy to think that he would even have the inclination to even watch a show about hacking. Especially given that his show was a period piece classic set in the '60s. I'm obviously honored and flattered, but I'm still in disbelief like Elliot. I can assure you, he not only did it with me, but then with several other critics while I watched. It's real. Sam Esmail: Steven Soderbergh tweeted about our show as well, but through this Twitter account that's unofficial, and then I get this really nice email from Damon Lindelof, and he just praised it, personally way too much. It's incredibly humbling. I feel like I can't really take it in, because I can't get my ego too big. But it's obviously very nice to be recognized like that.